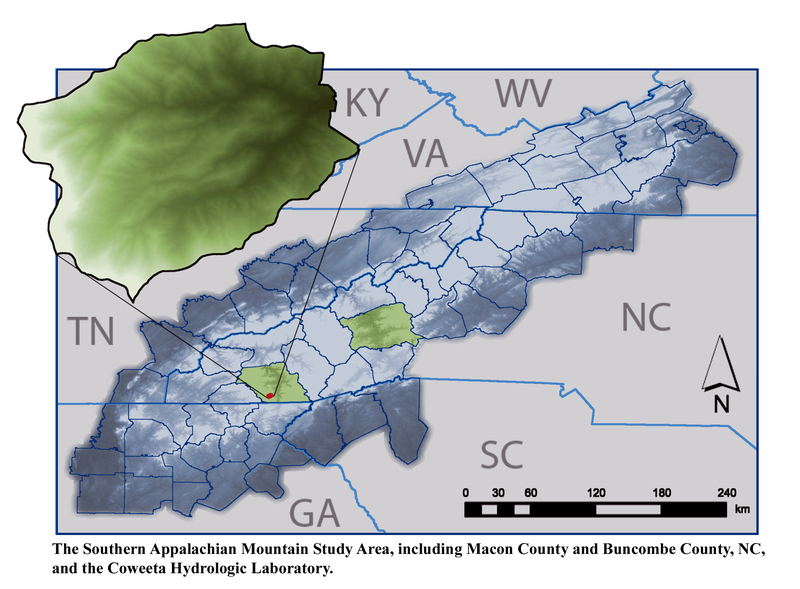 One of the oldest continuous environmental studies in North America, the Coweeta LTER research focuses on the montane deciduous forest biome of the southern Appalachian Mountains, and is the centerpiece of a long-term cooperation between the University of Georgia and the Coweeta Hydrologic Laboratory, part of the USDA Forest Service Southern Research Station. Funded by the National Science Foundation, Coweeta LTER has evolved from a site-based to a site and region-based project. Our current research project, entitled "Examining long-term southern Appalachian ecosystem dynamics through interactions and indirect effects" focuses on quantifying key interactions and indirect effects that determine how hydroclimate extremes and human activities affect southern Appalachian forests. Our signature scientific publications page provides a general oversight of major findings generated from NSF research funding over the past 40 years.